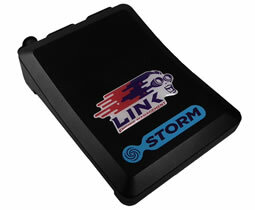 The Link G4+ Storm engine management system delivers performance that rivals any ECU on the market. This ECU is more than capable of running sequential injection, ignition and variable valve timing on most of today's engines. The black Storm offers all of the advanced G4+ engine tuning features at an extremely competitive price. 8 x injection & ignition, 8 x analog & digital inputs. The G4+ Storm ECU offers the latest in high end aftermarket engine management systems. You will be stunned by the G4+'s performance, features and reliability. Designed and built to be the best, the Storm delivers the results, with more functions than normally demanded by both tuner and driver.